CSS-Tricks is created, written by, and maintained by Chris Coyier and a team of swell people. It is built on WordPress, hosted by Media Temple, and the assets are served by MaxCDN. They primarily deal about CSS, also covers things in web design and development. Sidebar is a project by Sacha Greif, built with VulcanJS. Sidebar collects the best five design links, every day about UI design, typography, CSS, user research, and all other facets of design. 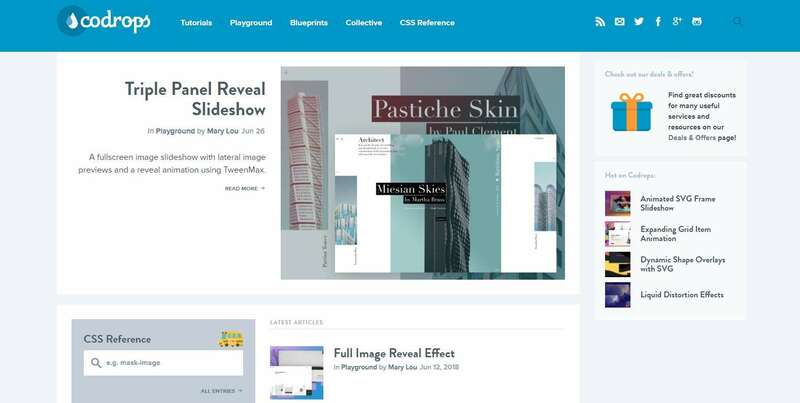 It is a trusted resource for thousands of designers across the world, both to stay on top of the latest news, trends, and resources; as well as to share their own work with the community. Founded in September 2006 in Germany by Vitaly Friedman and Sven Lennartz. Smashing Magazine delivers reliable, useful, but most importantly practical articles to web designers and developers. Apart from design and development, it incorporates the categories digital books, job openings, conferences, and membership. A List Apart explores the design, development, and meaning of web content, with a special focus on web standards and best practices. Began as a mailing list in 1997 and launched this website in 1998. They accept thoughtful submissions from all kinds of web professionals: designers, developers, architects, strategists, writers, and assorted specialists. Codrops is a web design and development blog that publishes articles and tutorials about the latest web trends, techniques, and new possibilities. They also include the categories: Tutorials, Playground, Blueprints, Collective and CSS Reference. SitePoint is a hub for web developers to share their passion for building incredible Internet things. Founded by Mark Harbottle and Matt Mickiewicz in 1999. SitePoint is for web professionals, by web professionals: developers, designers, programmers, product creators and entrepreneurs alike. Founded in August of 2010 by Andrian Valeanu. 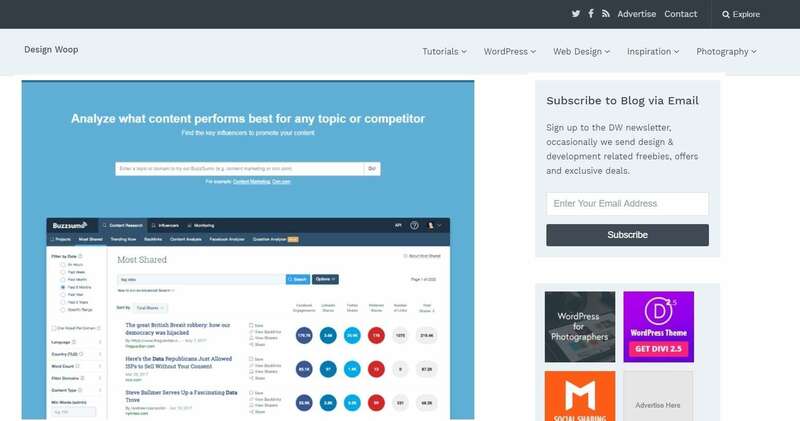 Create websites and email builders designed for developers and non-tech users, in addition to services such as the Designmodo Market and Designmodo Jobs. Also provides articles, tutorials and industry news about trends and techniques, Premium Web UI Kits, Icons, Graphics, etc. 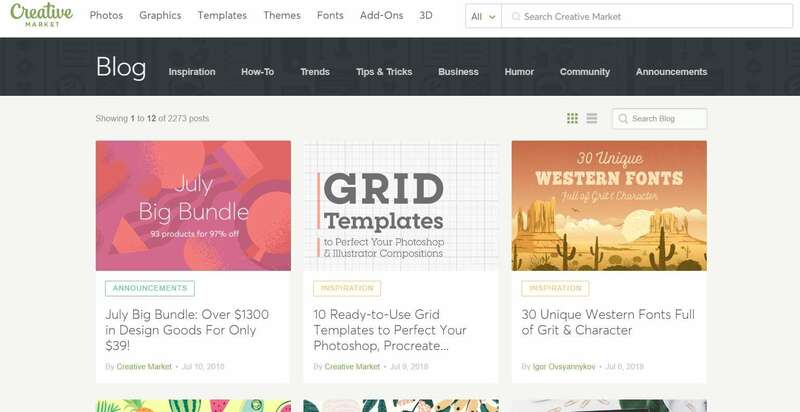 WebdesignerDepot delivers the best insights on design, user experience, and freelancing. Also, they are passionate about standards, accessibility, clean code, and responsible design. OXP was started in 2009 by a team of Singapore web enthusiasts. 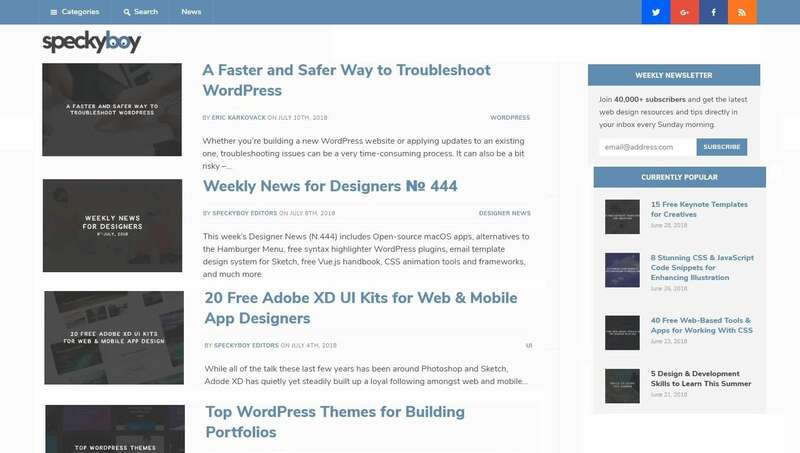 Onextrapixel is a leading online magazine and resource site for designers and web developers. They aim to collect, explore, as well as share useful tips, news, tutorials, tools, and resources, on design, development and other inspirational topics. Specky boy formed by Paul Andrew in October 2007 to serve as an inspirational hub for web designers. It provides insightful tutorial and tips, time saving design and development techniques, inspirational UI and UX designs from around the web, graphic design tutorials. Mainly it offers Lego-inspired contents. 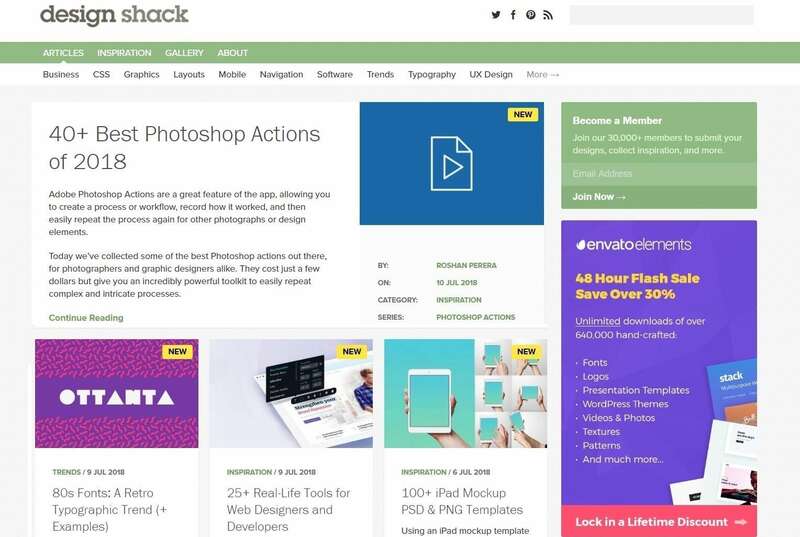 Design Shack established in 2003, it’s a magazine for creatives, designers, and developers. Publishes articles about web and graphic design, trends, business, mobile, UX, typography, and how to work in the design industry. 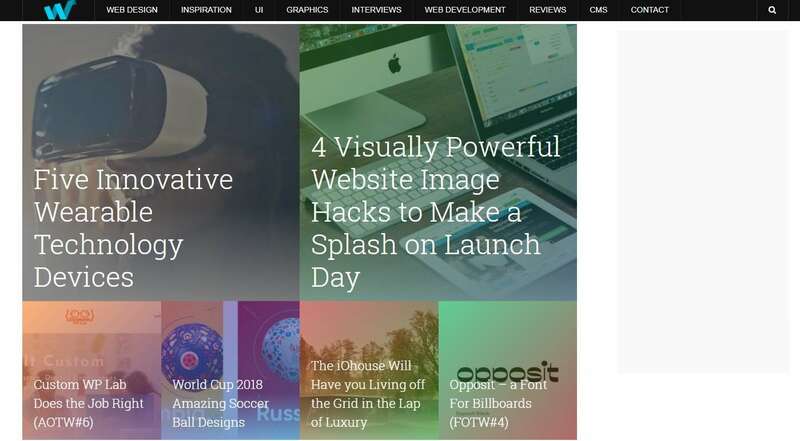 They attract a wide audience, comprising agencies, designers, businesses, organizations and individuals who are passionate about cutting edge web design technologies and design news. Creative Market empowers creators around the world to make their ideas a reality. Launched in Oct 2012, it’s a marketplace for design assets like graphics, photos, fonts, website themes, icons, brushes and more. 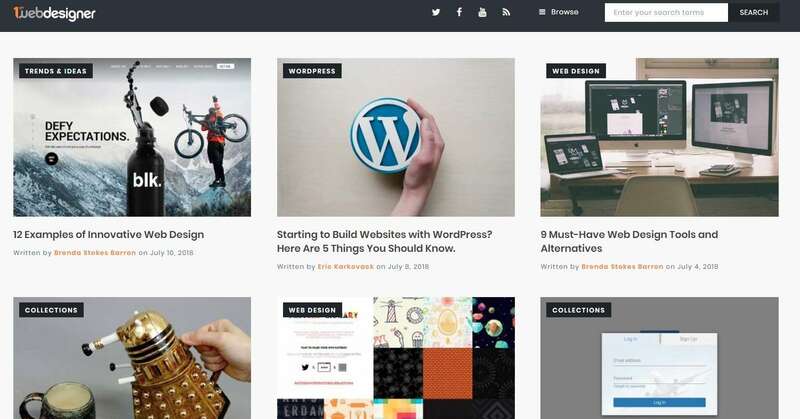 Creative Market Blog deals with the best ideas in Inspiration, How-To, Trends, Tips and Tricks, Business, Humor, Community, and Announcements. Millions of people around the world choose their marketplace, studio and courses to buy files, hire freelancers, or learn the skills needed to build websites, videos, apps, graphics and more. 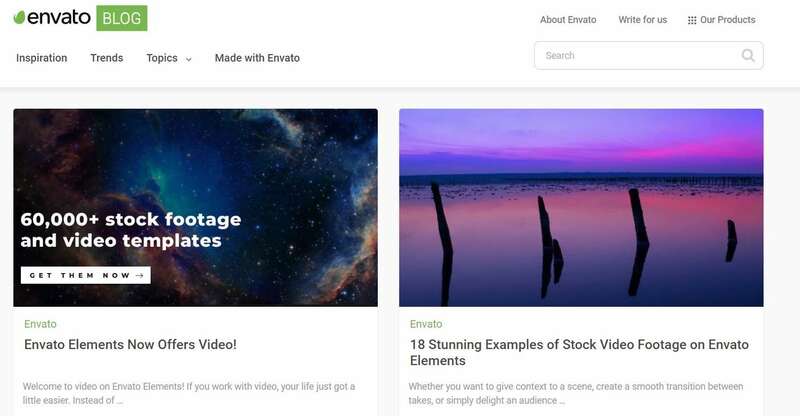 Envato blog offers Stories, inspiration, and insights to inspire creative ideas. Grab ideas from design trends and data to opinions and tips for all things web, graphics, code and more. Scotch is the top platform for shelf learning, Informative tutorials explaining the code and the choices behind it all. It comprises of Angular, React, Vue, Node, and Laravel tutorials. Also offers courses with the collection of videos and lessons to build real apps. 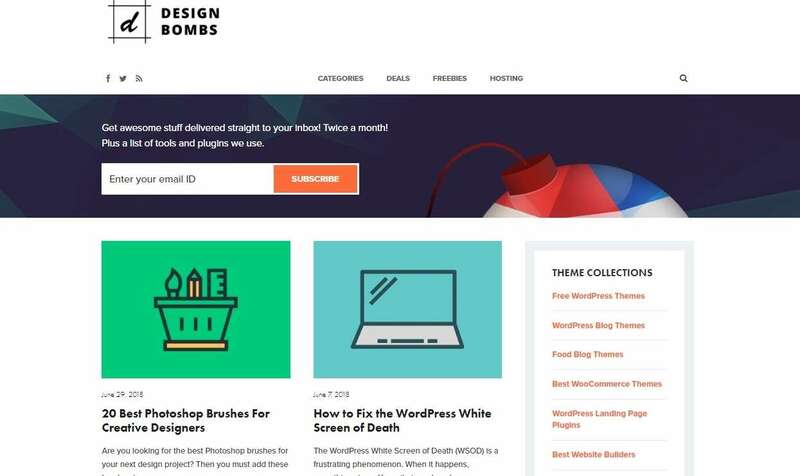 Design Bombs was originally started as a web design gallery. But recently it becomes a place to share web design ideas, tutorials, and other helpful resources. It consists of several categories ranging from roundups of cool website designs, freebies, exclusive deals, and WordPress. Web design ledger is a web design and development blog featuring articles, inspiration, UI, graphics, CMS, reviews as well as interviews of web designers and developers. Founded in March 2010 for creative entrepreneurs, designers, and freelancers looking to expand their mind and improve their skills. 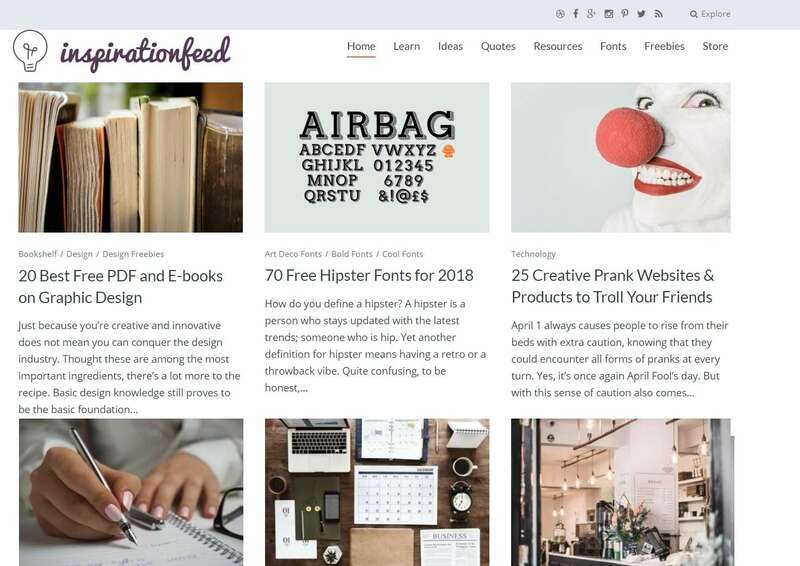 Inspirationfeed provides useful information about design, inspiration, tips, icons, fonts, WordPress, tutorials, and other web related topics. Every week they publish insightful articles about design, business, technology, and entrepreneurship. DesignWoop is a web design blog that features tutorials, inspirational articles and useful tools for creative designers. Categories also include WordPress and photography. 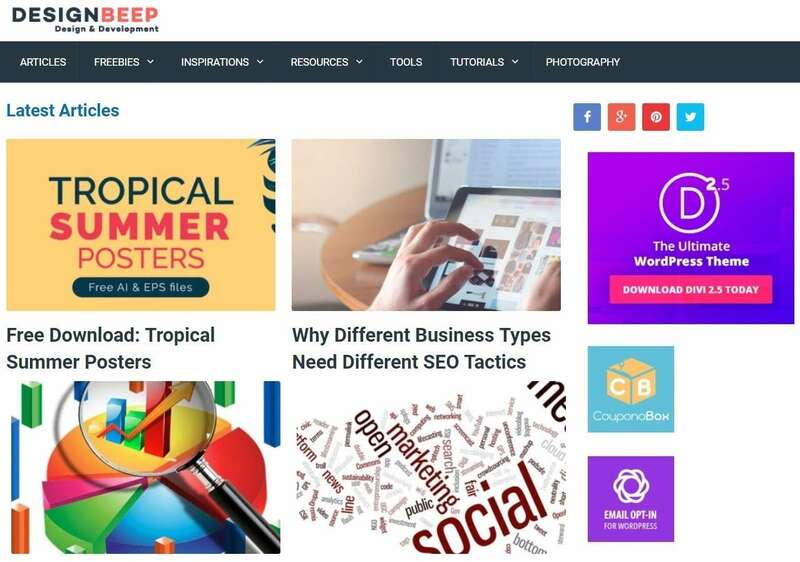 Designbeep is a design blog dedicated to web developers, bloggers, designers, and freelancers. All the topics are about web design, photography, tutorials and inspirational. Hongkiat is one of the leading sites for all things related to tech, design, and technology. 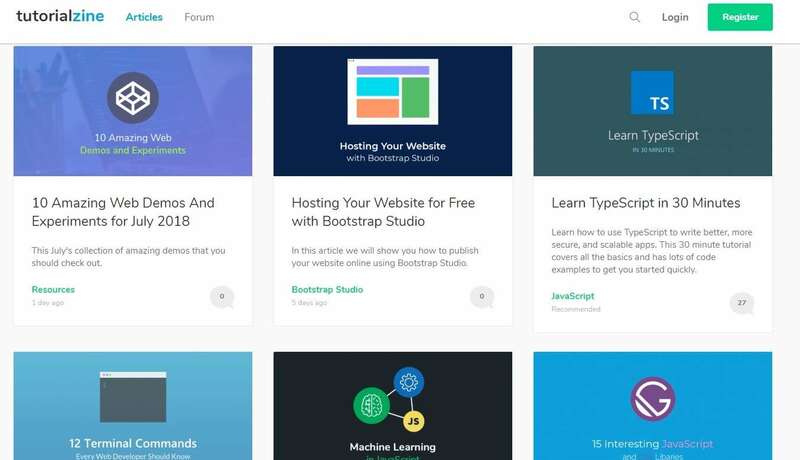 Also, they release tips, tricks, techniques, tutorials, tool recommendations and plenty of freebies for web designers, bloggers, graphic designers, entrepreneurs and web developers. We hope this article helps you to acquire more knowledge about the latest developments and trends in web designing. More great blogs to add to the list, let us know in the comments below.